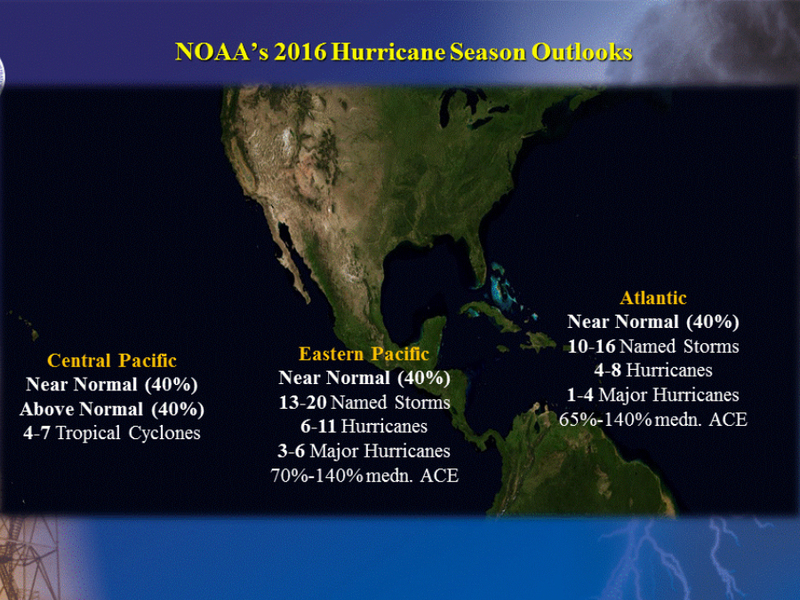 The National Hurricane Center is forecasting a near normal to above normal hurricane season in 2016. They're forecast calls for between ten and sixteen named storms, four to eight of those will become hurricanes and one to four of those could become major hurricanes — a category three or bigger. If these numbers hold true, 2016 could be the most active hurricane season since 2012 since the last couple years have been mostly inactive in the Atlantic. The National Hurricane Center described this as a difficult forecast to create with a number of contradicting factors. For starters, the previous El Niño appears to be transitioning to a La Niña , which can lead to a more active hurricane season. At the same time, the Atlantic appears to be transitioning into a period of low hurricane activity. These cycles typically last between 25 to 40 years, and the most recent high activity cycle began in 1995. In other words, if a La Niña comes together and it turns out the Atlantic is still in a high activity cycle, it could be a busy hurricane season. 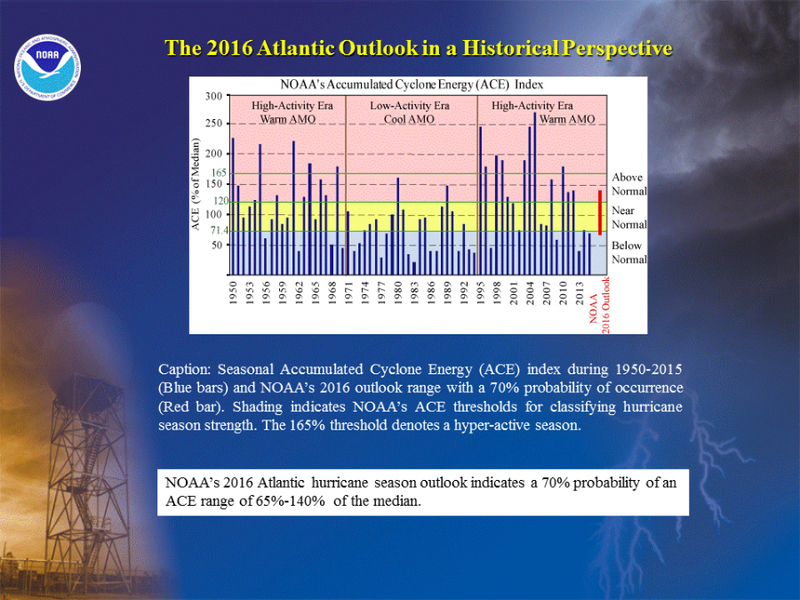 At the other end of the spectrum, if a La Niña never develops and the Atlantic is entering a low activity cycle, then hurricanes will be few and far between this year. If it's another combination where both factors work against one another, we'll likely see a typical hurricane season, which is why the National Hurricane Center has placed a 45 percent probability on just that happening. The hurricane season runs from June 1 to Nov. 30, but the first hurricane of the season already formed in January and the second named storm could come as early as this weekend .